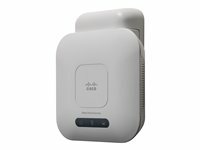 The Cisco WAP581 Wireless-AC Dual Radio Wave 2 Access Point with 2.5GbE LAN uses concurrent dual-band radio for improved coverage and user capacity. The 4 x 4 MU-MIMO technology on the 5.0-GHz radio and 3 x 3 MIMO on the 2.4-GHz radio allow the access point to run at maximum performance and deliver better user experience. Two Gigabit Ethernet LAN interfaces, one with 2.5 Gigabit Ethernet and the second with 1 Gigabit Ethernet with PoE facilitate flexible installation and reduce cabling and wiring costs. Intelligent quality-of-service (QoS) features let you prioritise bandwidth-sensitive traffic for voice-over-IP (VoIP) and video applications. To enhance reliability and safeguard sensitive business information, the WAP581 supports both Wi-Fi Protected Access (WPA) Personal and Enterprise, encoding all your wireless transmissions with powerful encryption. In addition, 802.1X RADIUS authentication helps keep unauthorised users out. Designed to scale smoothly as your organisation grows, the access points feature controller-less Single Point Setup, which simplifies the deployment of multiple access points without additional hardware. 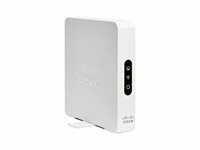 With the Cisco WAP581 you can extend business-class wireless networking to employees and guests anywhere in the office, with the flexibility to meet new business needs for years to come. Concurrent dual-band radio support offers up to 2.1 Gbps on a 5.0-GHz radio and 600 Mbps on a 2.4-GHz radio to use capacity and coverage most efficiently. Wi-Fi Scheduler allows you to control your Wi-Fi network access during business and non-business hours. Intelligent QoS prioritises network traffic to help keep critical network applications running at top performance. 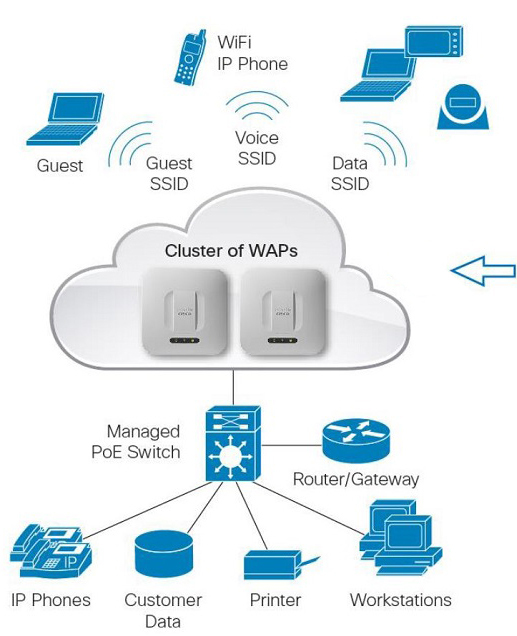 An integrated Wireless Packet Capture tool assists tech support in troubleshooting. Sleek design with multiple internal antennas and a versatile mounting kit allows for installation on a ceiling, wall or desktop. Intelligent QoS priorities network traffic to help keep critical network applications running at top performance.